The cargo throughput of Big Odessa Port (three largest ports in Odessa Bay) decreased by 4.8% yoy in Q1 2016 to 21.93 million tons. The ports of Ilyichevsk, Yuzhny and Odessa are accounting 68.4% from the total turnover of maritime ports in Ukraine and has important economic and trade significance. 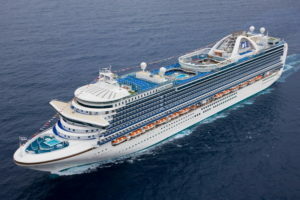 During the reported period, cargo throughput in port of Odessa dropped by 5.7% yoy to 6.15 million tons, while Port Yuzhny decreased by 6.7% yoy to 11.14 million tons. Only Port of Ilyichevsk had slight growth of cargo turnover, growing by 1.4% yoy to 4.64 million tons. During the reported period, Big Odessa Port exported cargo amounted to 17.05 tons (+9.4%), imported was 3.02 million tons (-6.8%) and transit cargo amounted to 1.87 million tons (-54%). The transshipment of dry cargo of Big Odessa Port in Q1 2016 amounted to 15.69 million tons (-1.7%), representing a share of 71.5% from all the products. The packed units amounted to 4.35 million tons (+10.5%), while bulk cargo was 1.89 million tons (-39.6%). The total volume of handled ferrous metals in Odessa large ports was 1.89 million tons (+6.9%), ore amounted to 6.8 million tons (-9.9%), coal was 1.23 million tons (-26.6%) and grain cargo was 6.27 million tons (+22.4%). 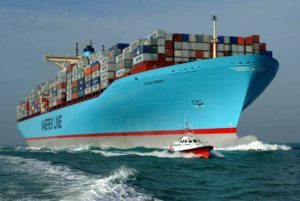 Handling of oil products decreased by 84.1% to 0.22 million tons, while container throughput amounted to 145.45 thousand TEU, representing an increase of 7.8%. At the end of 2015, the cargo turnover at seaports of Ukraine (excluding the Crimea) was 144.83 million tons. Port Yuzhny ranked first in cargo volume among the Ukrainian ports with a turnover of 48.58 million tons. 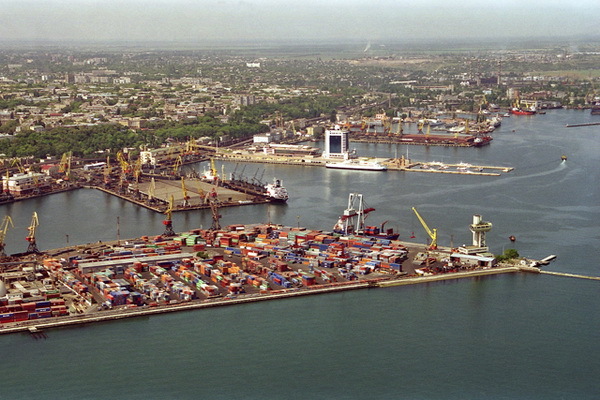 Throughput of the port of Odessa amounted to 25.59 million tons, while Port of Ilyichevsk handled 17.44 million tonnes.